Equipping girls to live their dream. The Dream Academy is a Non-Profit Orgnanization Transforming the perspective of dreaming for girls. The Imagine Me Program provides girls with a safe space to explore opportunities and dream of all the possibilities in the world for which they can become. This program includes providing facilitation of the life changing activity of Dream Mapping through workshops and/or on campus classroom sessions. The College Planning & Dream Tour program guides girls through every moment of executing on their goal of preparing to furthering her education by attending the college she's dreamed of. The Dream Incubator program is designed to expand knowledge, enable innovative methods of problem solving and provide resources that remove barriers in an effort to bring dreams to life. 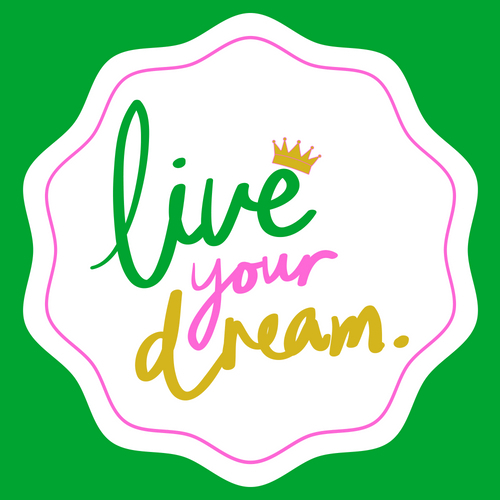 The Dream Network program strives to inspire girls through sharing stories of achievement, lessons learned while providing a supportive sisterhood of peers and role models who help our enrollees and alumni persist and succeed. Girls with dreams become women with vision. We are passionate about closing the gender dream gap by removing barriers that deny or impede girls from living their dreams and realizing their full potential. We want girls to have the skills and opportunities they need to live their dreams. Many seeds have been planted in the years prior to formally establishing The Dream Academy in 2018. From then and throughout 2019 we will be dedicated to driving transformation in the lives of others through the programs we offer. During this time we will be monitoring effectiveness and learning which programs are attracting and new and diverse participation using it all as a springboard for a much more focused body of work in 2020 - 2022. To achieve our vision this endeavor will require an iterative clarity of direction, increased speed and scale of public adoption of our mission, and a wider set of alliances. Like many organizations, we have been very blessed to have made it this far. We are thankful to our donors and supporters who have made it clear that they intend to help us do this very important work of closing the gender dream gap for girls. As you review this roadmap, you’ll see what your investments will help us achieved as you get a glimpses of where we are headed. We are unlocking the dreams of 1Million girls across the globe and significantly shifting what communities, schools, the workplace and success looks like by 2030. Join the movement and stay updated on our progress! !